Kids' tropical fashions are perfect for hot summer days. Picture a romp on a Hawaiian beach or a day spent at the swimming pool and you can imagine some of the tropical clothing options available for your child. You'll find selections for even the youngest kids on your shopping list. Tropical Tantrum - Order your child tropical clothes straight from the Hawaiian Islands. The site operates retail stores at various Hawaiian locations. They offer a unique tropical rag dress collection that is cute enough to wear anywhere. You can also buy matching handbags and women's and men's clothes that match the children's clothing. Paradise Clothing Company - If you're searching for those Hawaiian style shirts for your child, then this site has a nice collection. You'll find complete sets like the boys' cabana sets and girls' cabana sets. Older girls will appreciate the halter dresses and the sarong dresses. My Cuban Store - You'll find some really unique children's tropical clothing at this online retailer. You'll find shirts and pants made of linen in bright corals and blues. You'll also be able to order guayaberas for both men and women. A guayabera is a type of men's formal shirt worn in Latin America, the Caribbean and the West Indies. Traditionally, it is a shirt worn by men, but over the years the style has become popular with young girls as well. 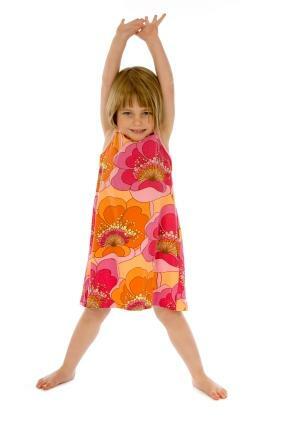 When it comes to kids' tropical fashions, there are many different choices for your child. You'll find everything from dressy outfits to very casual pieces. 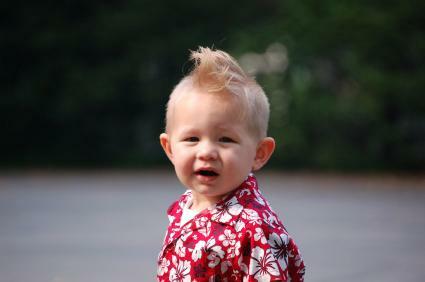 Hawaiian Shirts: Hawaiian shirts look adorable on a little toddler. These shirts come in a rainbow of colors, making them suitable for boys or girls. Pair with Bermuda shorts or cut off jeans for a casual playtime look. Tropical Dresses: Tropical dresses will make your little princess look like she's ready for a luau. Sundresses with tropical prints can serve as a semi-dressy outfit. Imagine a vivid yellow sundress with a red, blue and green parrot on the front. Pair with strappy white sandals for an adorable ensemble. Tropical Flower Prints: Any clothing item can become tropical when the right fabric pattern is used. Floral prints are popular. You'll often see large hibiscus flowers scattered all over the material. However, there are also other patterns that lend to a tropical look, including prints with palm trees, large ferns, parrots, exotic birds and even seashells. Tropical Tees: A simple tee shirt becomes a tropical fashion statement when key symbols from the tropics are added. Look for tee shirts that have images of palm trees, birds, big flowers, hula girls or Hawaiian leis. Whether you buy a tropical outfit from an online retailer, add a Hawaiian print shirt here or there, or simply tuck a hibiscus flower behind your child's ear, you'll find that tropical fashions are fun and adorable for all but the most formal occasions. With a little creativity and luck, you can put together an outfit that none of the other kids at the local pool party or backyard barbeque are wearing.